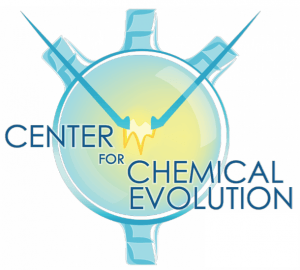 The Center for Chemical Evolution (CCE) is currently taking applications for a summer program. Selected individuals will spend 10 weeks doing full-time, paid research in chemical evolution and origins of life chemistry. Students will be trained in research methods, data analysis, and written/oral communication of their results. You may be asked to present your research in a formal poster session, and approved posters may be published on their program website. Depending on the specific school and advisor you are interested in, your application will be folded into an existing program at that school. The program to which you are assigned will give you the chance to participate in seminars such as how to choose a graduate program, scientific ethics, and careers in science. Through the course of the 10-week program, you will be expected to devote 40 hours a week to research, and to participate in all seminars, workshops, discussion groups, and activities as scheduled, as well as all laboratory meetings, journal clubs, safety training and other such activities as requested by your mentor. You will also be asked to update program organizers of all your future academic developments for program assessment purposes. The deadline to apply is February 15. Details and the application can be found on the CCE REU website. If you have any further questions, don’t hesitate to contact Education Director Christopher Parsons. What’s different about the CCE? The CCE is part of the NSF CCI program, and it brings together diverse investigators (including undergraduate researchers) into teams to collaborate on a grand societal problem: understanding how life emerged. In addition, they share their findings with the world through the arts. You can check out some of their outreach projects on their website. Posted in Summer Research, Undergraduate	Tagged CCE, chemical evolution, full-time, origins of life, research	Bookmark the permalink.